Extremely durable watertight soft cooler designed with portability and travel in mind. The USM team has lugged this thing all over and it performs well every time. Also, because of the watertight zipper it can double as a dry bag if not in use as a cooler. With the cooler industry being pretty cut throat these days the $299 price tag is at the high end of the soft cooler world. “Comparable” coolers from competitors like RTIC and AO coolers sell for as low as $100, but we will take the Yeti. If price is not an issue support a company that innovates its products and stand the test of brutal use and testing. And no we are not sponsored by Yeti or where we given any of the Yeti products we use, we use them because the products perform. When returning from spearfishing trips a continual issue arose, the transport of fish back home when flying. Yes, you can check a cooler and airlines such as Southwest do a great job with your first two bags check for free. But like many when I travel I have a Sportube and a gear/clothes bag already, many times the sportube qualifying as oversize and sometimes overweight. If you have ever been held hostage at other airlines baggage checks, like one that rhymes with shmelta, and been hit with a $300 baggage fee the thought of checking a cooler becomes less attractive. Enter the Yeti Hopper. The Hopper 30 is small enough to qualify as carry on, but large enough to bring back about 30 lbs of filets. Empty the cooler weighs 5.5 lbs. Now as a carry on it is very important to get your fillets frozen, or as close to frozen as possible placing the softest pieced on the bottom. 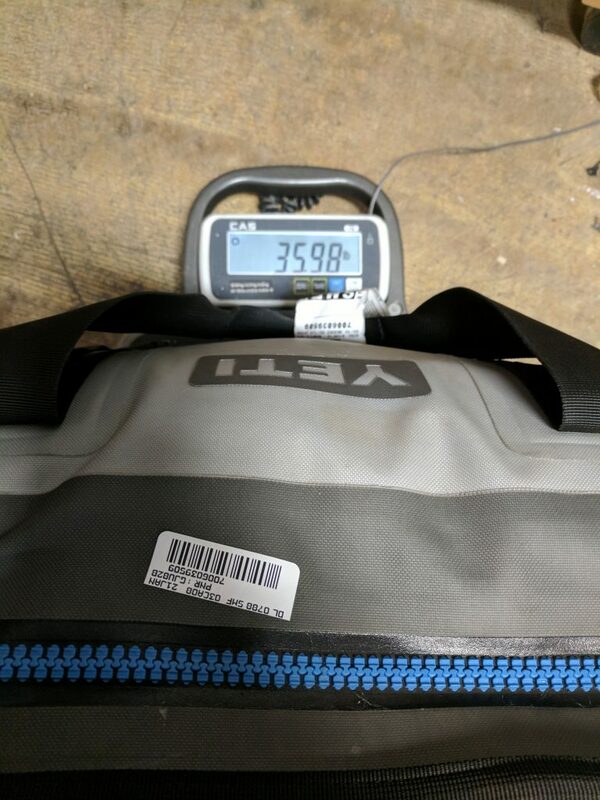 Chances are TSA will flag and check the bag, and if the fish is frozen they don’t even question it. Also remember that items such as ice packs are not accepted. I have checked the cooler multiple times fully loaded with fish and it has stood the test of baggage handlers across the country. 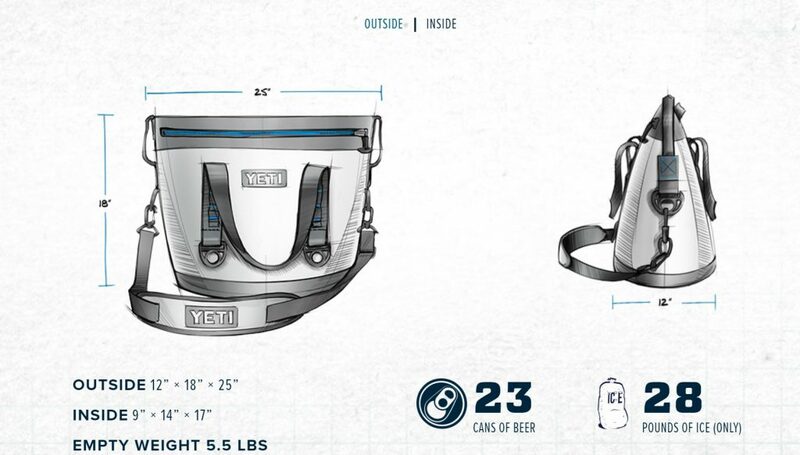 The exterior is made from what Yeti calls Dry Hyde, similar to what many white water rafts are made of, which makes it resistant to mildew, punctures, and UV rays. The liner is made of a FDA approved material so what better to transport your fresh catch. With a comfortable carry strap and too many attachment points to count it is a highly versatile piece of luggage. Now besides transporting fish back the Hopper actually has come in handy throughout the trip serving as a dry bag, grocery getter, beer cooler, lunch storage and so on. Another great thing about the coldcell insulation used in this cooler is that it is closed-cell rubber foam which makes this cooler a perfect place to shove that expensive camera housing getting tossed around the boat. Even better yet if floats!